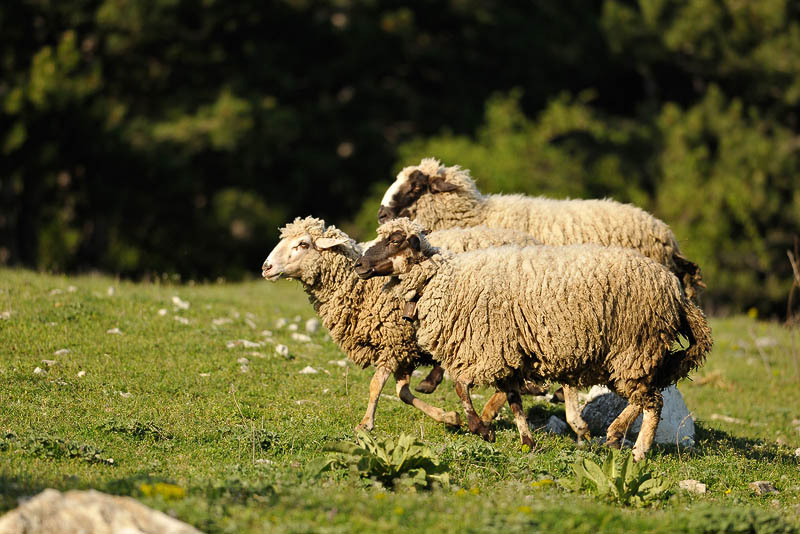 Rural scenery of running sheep with big fleece on spring pasture. Domestic farm animals - cattle, muttons. Mammals. Farming livestock. Stock-breeding.